Family-owned and operated Tire Discounters is opening its seventh Chattanooga area store in Signal Mountain on Friday, Nov. 23. The store will be led by Tire Discounters veteran, David Higgins. The Signal Mountain location marks the second Tire Discounters store he has led. David grew up in Soddy Daisy and started his career at his family’s automotive shop in Hixson. “I love working for Tire Discounters because of their dedication to their employees. Everyone treats each other like family, not just a number. It’s like being back in my family’s shop.” says Mr. Higgins, general manager. 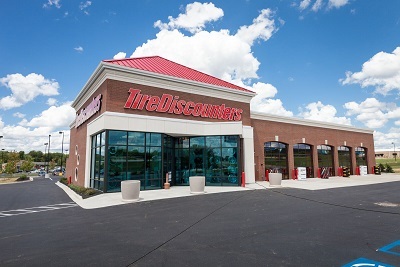 Tire Discounters was named Best Tire Store for the second year in a row from the Tennessee Valley People’s Choice Awards by The Chattanooga Times Free Press. The new store is located at 138 Raider Lane and will feature the same "award-winning automotive service," officials said. “We’re excited to meet our new neighbors in Signal Mountain. Stop by the store on Raider Lane and see us on opening weekend to take advantage of the superior customer service experience from Tire Discounters. Not only we will we have Grand Opening specials, but we’ll also have amazing Black Friday Deals.” says Charles Curlee, vice president, Retail Sales.